Small rufous coloured bunting with orange-yellow lower mandible, and rufous edged outer tail feathers, and thin streaks on upperparts and wing coverts. Male has a dark ash-grey and white striped head, throat and upper breast with steel-grey and black speckles. 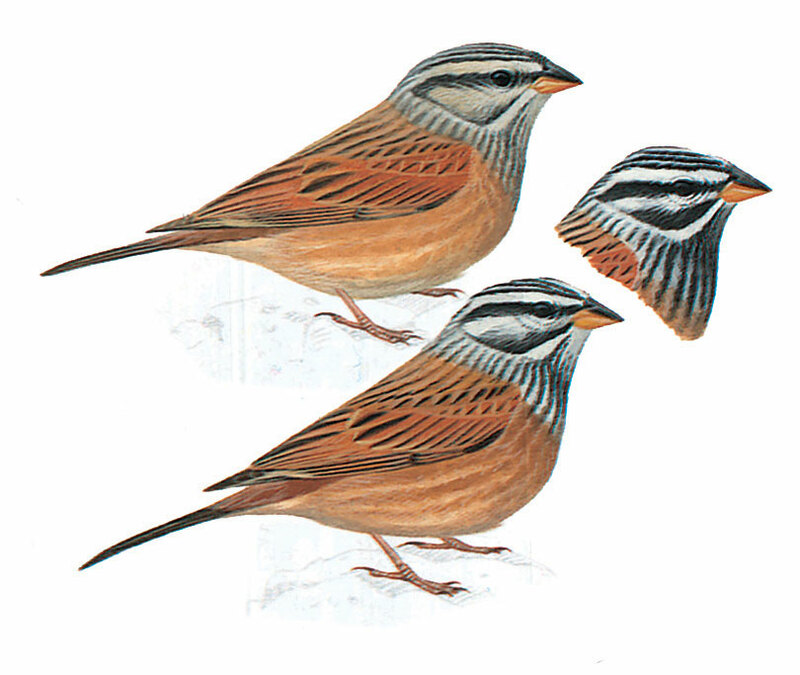 Upperparts, wing coverts, lower breast and belly are bright rufous. Female duller with much more diffused head pattern. Fairly shy and unobstrusive.